John Wilson talks to Don McLean about his career-defining album, American Pie. Now it's the turn of the audience to ask some of the questions. John Wilson talks to leading performers and songwriters about the album that made them or changed them. Recorded in front of a live audience at the BBC's iconic Maida Vale Studios. Each edition includes two episodes, with John initially quizzing the artist about the album in question, and then, in the B-side, the audience puts the questions. Both editions feature exclusive live performances. 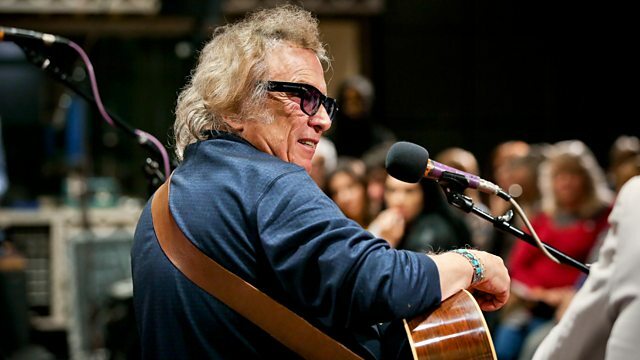 Having discussed the making of "American Pie" - his all-time classic debut album (in the A-side of the programme, broadcast on Monday 24th December 2018 and available online), Don McLean responds to questions from the audience and performs live acoustic versions of some of the tracks on the album.